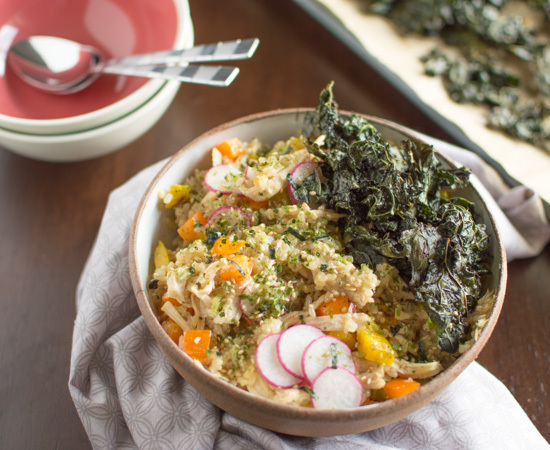 DIY your own healthy and versatile grain bowl recipe! It seems that one-bowl healthy meals are all the rage recently. The appeal lies in their well-curated aesthetic, but likely also because they score remarkably well in the convenience, health and taste departments. But with each bowl costing SGD15-20 on average, eating out often can make quite a dent in your wallet. It’s a common complaint: healthy yet delicious food can be so expensive. What to do, then? The answer: make it yourself. Here is a recipe for a creative one-bowl meal, with step-by-step, time-saving instructions to boot. As rice takes the longest, start by rinsing rice, and cooking rice in rice cooker. Brown rice takes a bit longer to cook, but is worth the wait. Unrefined grains are higher in fibre and maintain more heart-healthy vitamins and antioxidants. As the rice cooks, you will prepare your chicken. (How do you get tender, moist chicken breast every time? HealthLoco has some tips for you here) While chicken roasts in the oven, you will start prepping your sides: garlicky kale and honey glazed carrots. 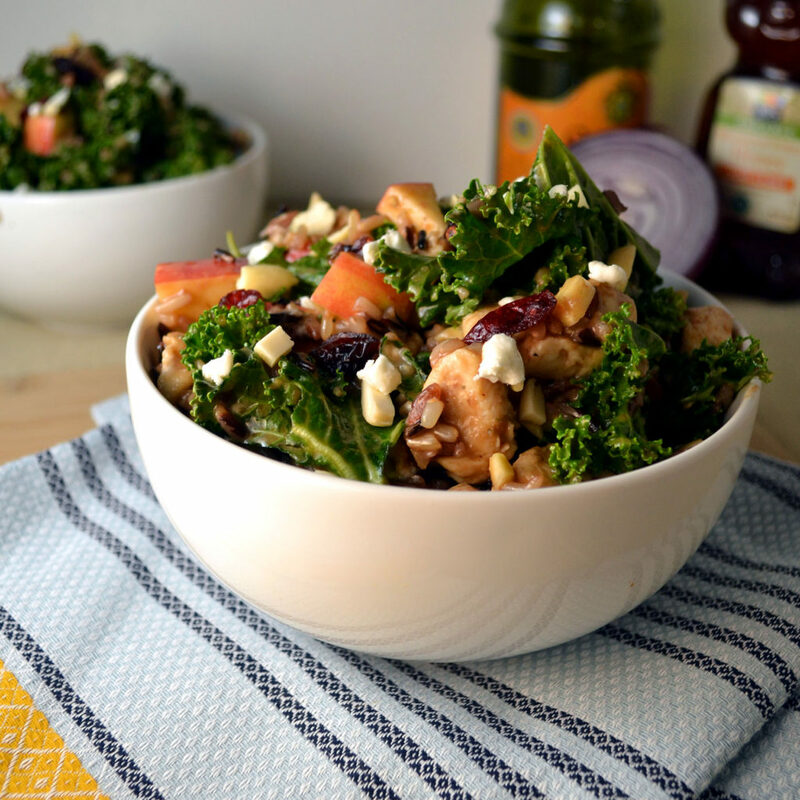 Kale is full of vitamins and nutrients, and this recipe transforms the greens into a flavorful side dish even the kids will devour. No kale? Spinach makes a good replacement. Nicely charred carrots add colour and sweetness to your dish. Your chicken should finish at around the same time you are done with the sides. Crunched for time? You can choose to get rotisserie chicken from the nearby supermarket. Set your brown rice to cook in the rice cooker. 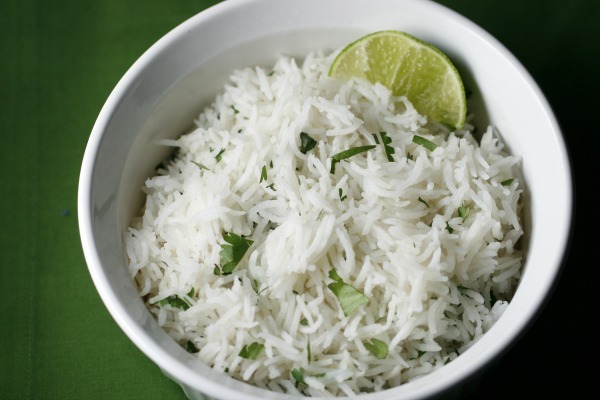 If you’re feeling more adventurous, try cilantro lime brown rice, which only requires one additional step: when rice is done, add the lime juice, cilantro, and the remaining oil, gently mixing them all together. Rub chicken breasts with olive oil, salt and pepper. Add garlic powder and paprika, or any other seasoning of your liking. 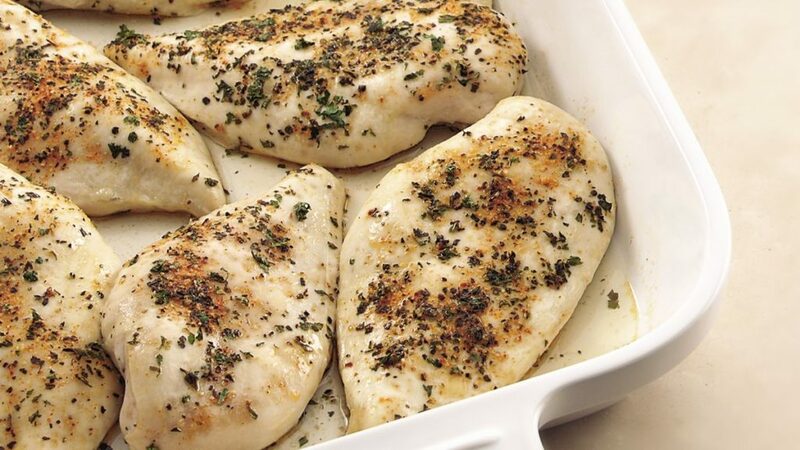 Place chicken breasts in a large baking dish. Bake for 15-20 minutes, depending on how strong your oven is, until chicken is cooked through and no longer pink. Once chicken is cooked, remove from oven and let is rest for at least 10 minutes before slicing them up. Chop up your carrots into coins. 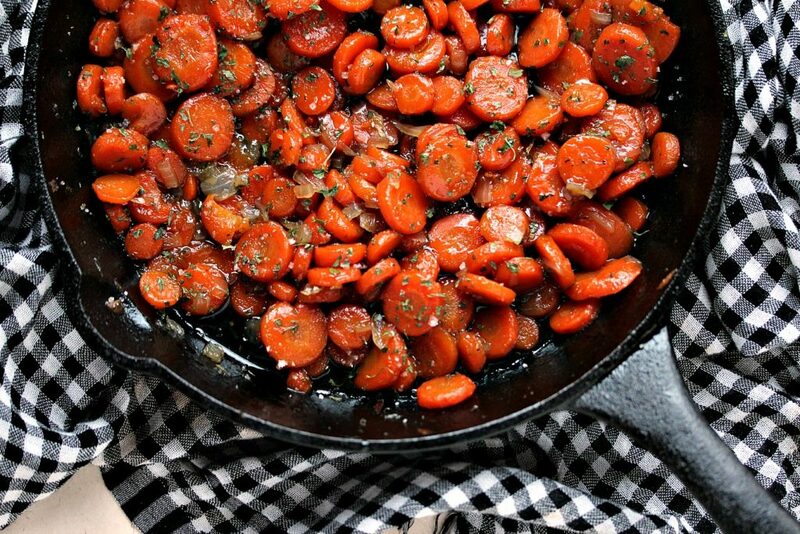 Blanch carrots in boiling salted water, 1-2minutes. Quickly run them under cold running water to stop the cooking process. This allows carrots to retain their bite. Drain the carrots and allow them to dry. Heat olive oil in a large saucepan over medium-high heat. Add the garlic and red onion, and cook until soft and onions are translucent. Raise heat to high, add the stock and kale, and toss to combine. Cover and cook for 3 minutes. 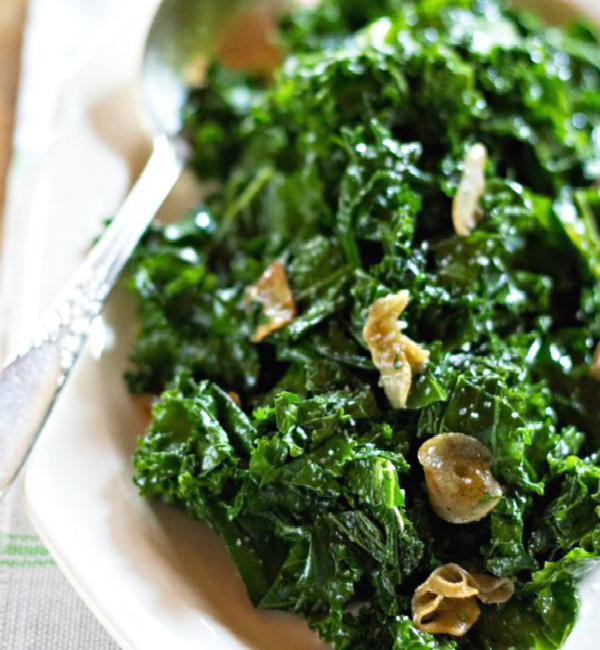 Remove lid, squeeze juice of half a lemon over the kale, season with salt and pepper and chili flakes to taste. Remove pan from heat and set kale aside. In the same pan (wipe it down if necessary), melt butter over medium heat. Mix in honey and lemon juice, stirring well. Add carrots and mix thoroughly. Season with salt and pepper. With all the flavours going on, a dressing really is optional. But if you insist, here’s the link to creating your dream dressing. An advantage to these bowls is that they can be customised by adding whatever ingredients you like and leaving out the ones you don’t. Don’t like carrots? Replace them with caramelised mushrooms instead. We also hear a poached egg goes well with everything. Whatever you choose, a motley bunch of ingredients can be transformed into a lovely mix of textures and tastes. It’s a good way to use up leftovers lying in the fridge! One-bowl grain meals only look deceptively complicated. In actual fact, they are built using the same formula: Start with whole grains; add vegetables or beans; top with protein, and drizzle on the sauce. Before you start preparing each component, decide the order of arrangement well – just refer to the instructions above for help. When you’re done, mix and toss well, and you’re set with a hearty bowl of deliciousness. 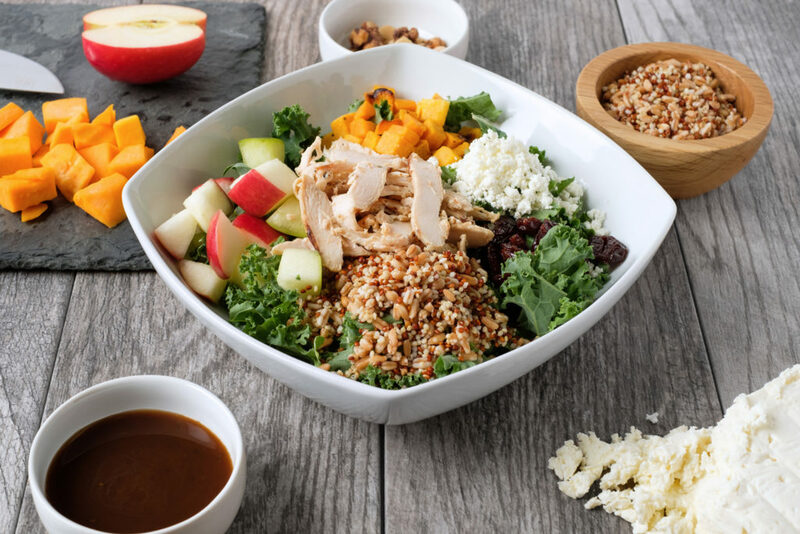 So get going and create your own grain bowl for the ‘gram.